The Original Kitchen Rack is an elegant cabinet mounted kitchen waste solution that is hidden from view and out of the way in your kitchen. 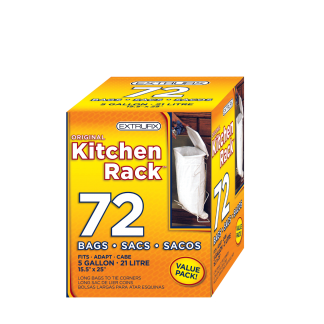 No tools installation and leak-proof bags make this a must have for your kitchen. 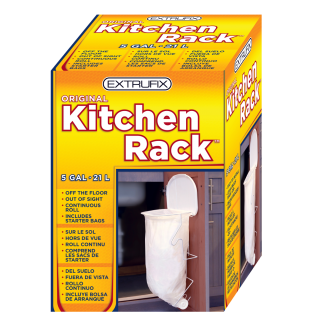 The Original Kitchen Rack is an elegant cabinet mounted kitchen waste solution that is hidden from view and out of the way in your kitchen. 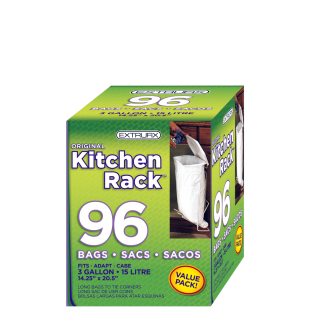 The 3 Gallon capacity can handle most kitchen uses, especially if used in combination with local recycling programs. Our “No Tools” installation makes the Original Kitchen Rack a breeze to install with not permanent holes or damage to cabinet doors. Nano-pads create a strong bond that can hold many pounds of weight, but are removable too! 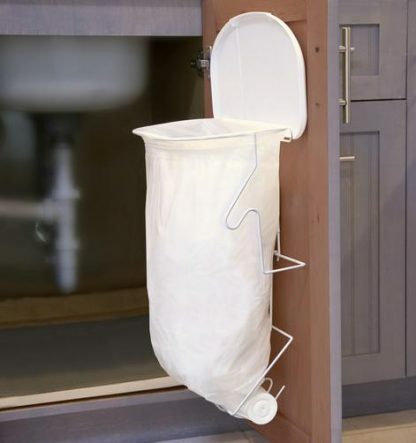 Choose this space-saving design to keep bins and containers off your floor. 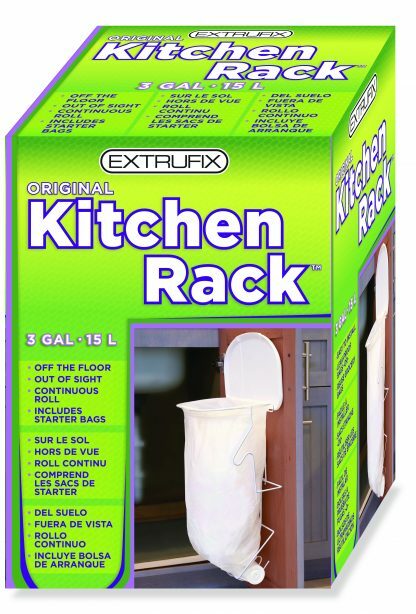 Great for small kitchens or spaces. 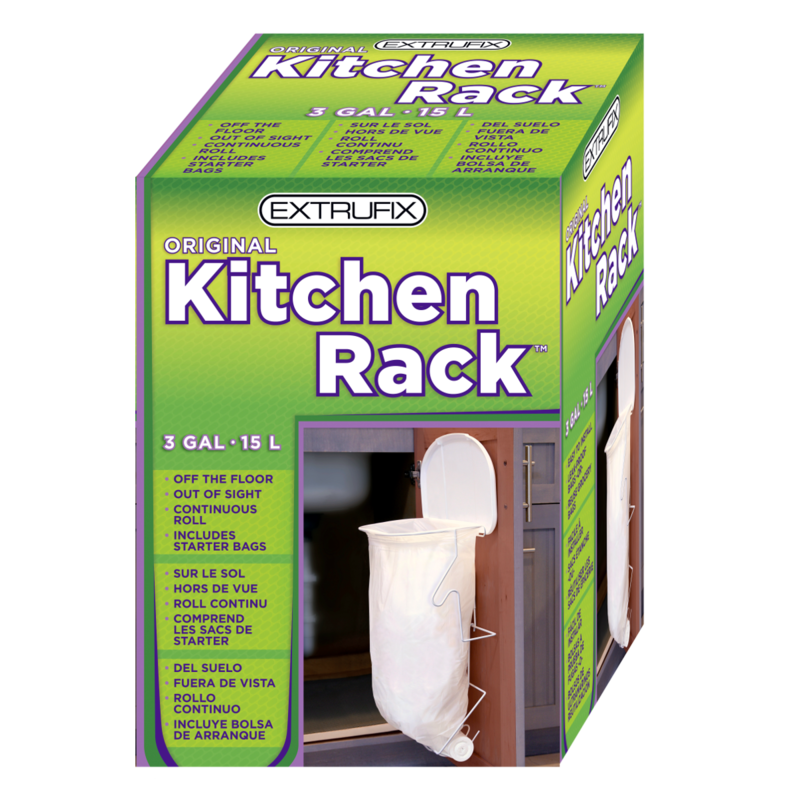 Use our leak-proof bags or try the integrated grocery bag hooks in a pinch. Included starter bags come in convenient roll to ensure your next bag is at your fingertips when you need it. 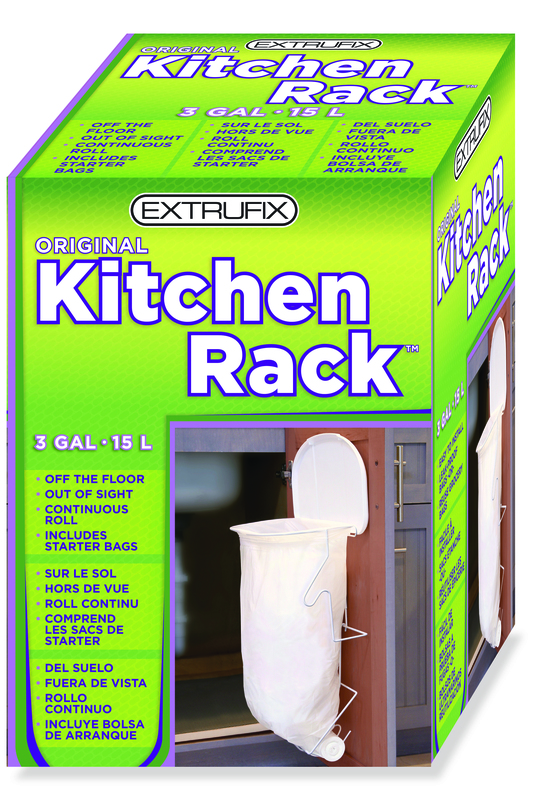 Each Original Kitchen Rack includes starter bags, mounting hardware, and instructions. Made in China.